A spectator struck by a golf ball at last weekend's Ryder Cup said she has lost the sight in her right eye and is planning to sue organisers. Corine Remande, 49, had travelled to France from Egypt with her husband Raphael to watch the biennial showdown between Europe and the United States, held at Le Golf National club in Saint-Quentin-en-Yvelines just outside Paris. But the avid golf fan's holiday ended abruptly when a tee shot from American Brooks Koepka veered left, landed among a crowd of spectators on the sixth hole and hit her in the right eye. 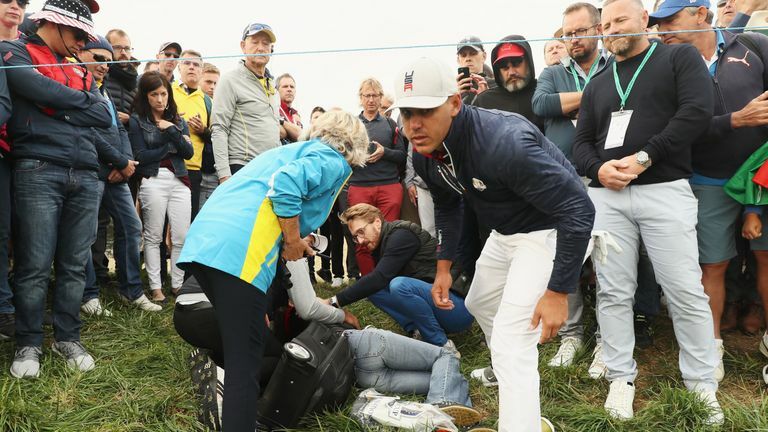 US Open champion Koepka swiftly apologised to Remande following the incident. Remande however told AFP on Monday she planned to seek legal action, claiming there was no warning from officials before the ball hurtled into the gallery. "Quite clearly, there is responsibility on the part of the organisers," Remande told AFP as she left the Croix-Rousse hospital in Lyon. "Officials did not shout any warning as the player's ball went into the crowd." Remande is set to consult a lawyer on Tuesday with a view to seeking damages. Scans on her eye revealed a "fracture of the right socket and the explosion of the eyeball", which, she said, surgeons managed to sew back together. She explained: "However they told me I'd lost the sight in my right eye, and this was what was confirmed to me today (Monday)." Her husband said: "In the best case scenario, she may be able to see shapes after the bruising eases in a month or so." The European Tour has since reached out to Remande to offer their prolonged support while she recovers. In a statement released to Press Association Sport, a Ryder Cup spokesperson said: "We will continue to offer support for as long as necessary. "We have been in communication with the family involved, starting with the immediate on-course treatment and thereafter to provide support, helping with the logistics of repatriation, including providing a transfer for the family from Paris to Lyon. struck if you are in the crowd. 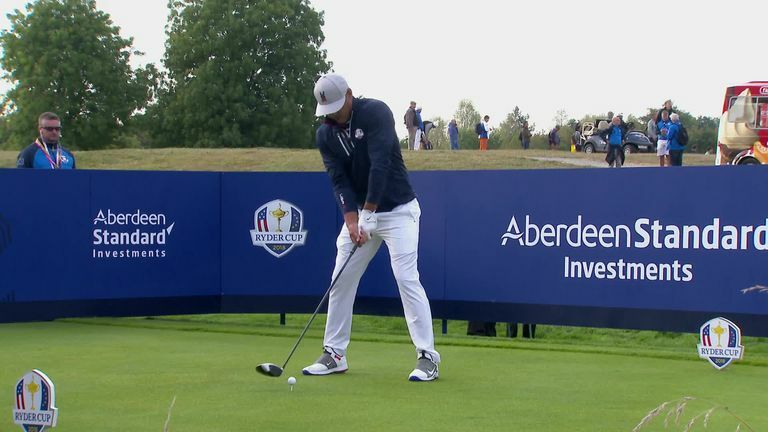 Point 20 of the 2018 Ryder Cup's official ground regulations states: "Persons entering the venue do so acknowledging the risk associated with the game of golf and attending a major golf tournament, including risks associated with errant golf shots." Meanwhile, The R&A are to assess their guidance to golf fans following the incident on Friday. Shouts of "fore left" can also be heard at the tee when it becomes clear Koepka's shot is heading towards the spectators.